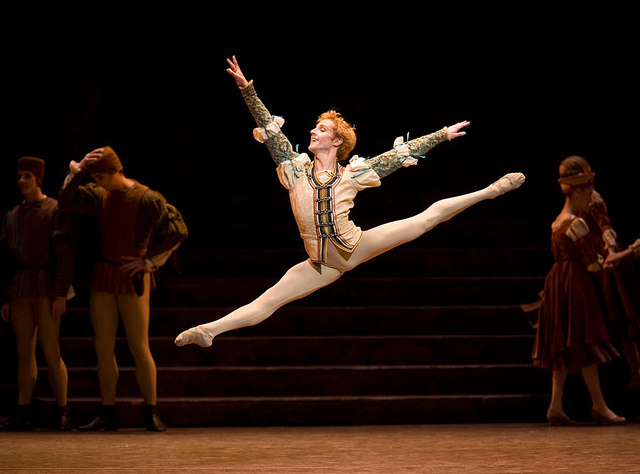 The prestigious international ballet competition returns to Australia where our own Steven McRae won Gold in 2002. In 2002, the Genée International Ballet Competition was held in Sydney – the first time in its history that the presigious event had been held outside London. What’s more, in a fairytale ending for locals, young Sydney dancer Steven McRae, now a Principal at The Royal Ballet, won the coveted Gold Medal. In December, the competition – a flagship event of The Royal Academy of Dance (RAD) in London – returns to Sydney, a move welcomed by the Australian dance community. Named after the RAD’s first President, Dame Adeline Genée, the competition first took place in 1931 and has been staged most years since. Open to dancers aged 15 to 19 from around the world, trained in the RAD syllabus, competitors receive coaching from highly regarded choreographers and teachers over five days in the lead-up to the semi-finals and final. The Genée has launched the careers of many young ballet dancers, with medalists going on to dance with companies around the world including the Australian Ballet, The Mariinsky Ballet, American Ballet Theatre, National Ballet of Canada, English National Ballet and The Royal Ballet in London. Among the many other Australian ballet dancers besides McRae to have won medals at the Genée are Leanne Benjamin who won Gold in 1981 and went on to become a principal with the Royal Ballet, former Australian Ballet Principals Simone Goldsmith who won Gold in 1993, Olivia Bell who won Gold in 1994 and Kirsty Martin who won silver in 1995, and current Australian Ballet principals Lana Jones and Amber Scott who won Silver and Bronze respectively in 1999. Last year, 15-year old Lania Atkins won Silver and 15-year old Makensie Henson won Bronze. After striking out and staging the event overseas for the first time in Sydney in 2002, the Genée has since been held in Athens, Hong Kong, Toronto, Singapore, Cape Town, Wellington, Glasgow and Antwerp, as well as returning to London in 2010 and 2015. In Sydney this year, the semi-finals will be held at The Concourse Theatre, Chatswood from December 7 to 9, while the final will take place at the Sydney Opera House on December 11. A record 97 dancers from 14 countries will compete. Judges for 2016 are David McAllister, Artistic Director of the Australian Ballet, Kevin O’Hare, Director of The Royal Ballet and Francesco Ventrigilia, Artistic Director of the Royal New Zealand Ballet. This year’s commissioned choreographer, who creates a solo for the dancers to perform, is the Australian Ballet’s Resident Choreographer Tim Harbour. Musica Viva's CEO, dancer Steven McRae and actor Bryan Brown have been honoured by universities. A gorgeous picture book by David McAllister and Gabriela Tylesova, based on their production, is dancing into stores. The AB will stage nine ballets including a new Spartacus choreographed by Lucas Jervies and a tribute to Graeme Murphy. Some thought Christopher Wheeldon “completely insane” when he decided to make a ballet based on Lewis Carroll’s novel. LOG IN to read this article. This article is only available to Limelight’s subscribers. SUBSCRIBE NOW to gain access and you could win a three-night holiday package to the Australian Festival of Chamber Music*. To have your password reset please EMAIL US or phone (02) 8227 6486. Joffrey Ballet is the co-commissioner for a new dance work based on Tolstoy’s classic novel premiering next year. The American star will join Australian Ballet as a guest artist for two performances of Sleeping Beauty. A true story ballet that perfectly marries music with movement. Louise Herron, Lyndon Terracini, and David McAllister share their thoughts on the SOH Theatre as renovation work begins. Jarryd Madden and Dimity Azoury have both been promoted to the rank of senior artist. Is Coppélia ballet’s first Frankenstein? Beneath the sunny façade, David McAllister discovers a tale of broken dreams.